Dinesh D'Souza says these questions are no mere academic exercise. It is the Progressive view that is taught in our schools, that is preached by Hollywood, and that shapes the policies of the Obama administration. If America is a force for inequality and injustice in the world, its power deserves to be diminished; if traditional America is based on oppression and theft, then traditional America must be reformedand the federal government can do the reforming. 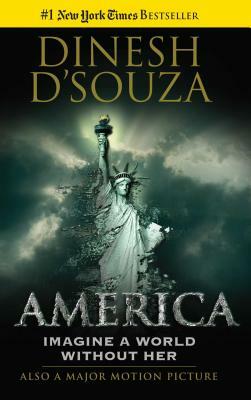 Provocative in its analysis, stunning in its conclusions, Dinesh D'Souza's America is a new classic. Dinesh D'Souza is the former president of The King's College in New York City and author of the New York Times bestsellers America: Imagine a World Without Her, Obama's America, and The Roots of Obama's Rage. He is also a former White House domestic policy analyst and research scholar at the American Enterprise Institute and the Hoover Institution at Stanford University. His other best-selling books include What's So Great About Christianity and Life After Death.